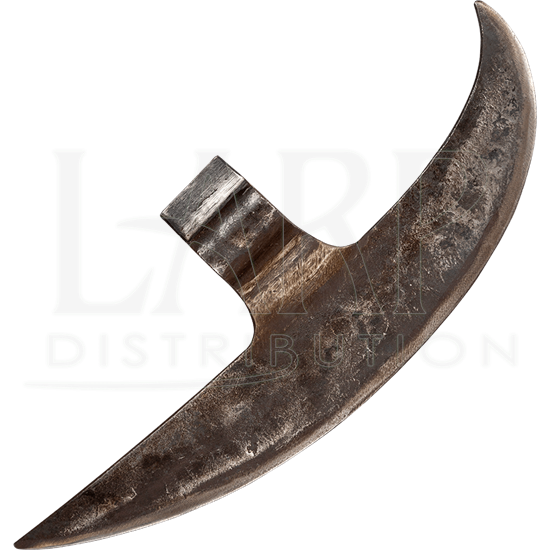 An evolution from the medieval Danish axe, the Bardiche Axe Head is a curved blade with a long surface area historically suited for slicing, cleaving, and even stabbing. Add your own wooden haft to create this medieval weapon. 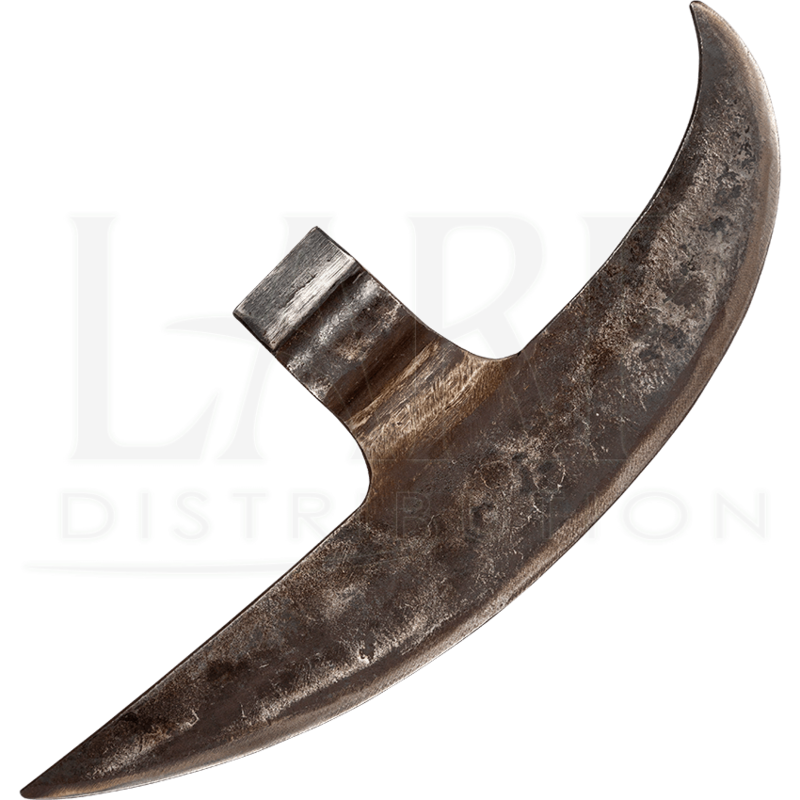 The hand forged bardiche head has an aged look and is made of steel. When you add your own haft, it slides through a single socket. If heavy cleaving with an intimidating pole weapon is what your reenactment event needs, then choose this hand forged bardiche when making your next medieval weapon.